We underestimated the popularity of these simple kits...but there's nothing else quite like them in fly-fishing. We underestimated the popularity of these simple kits...but there's nothing else quite like them in fly-fishing. Each kit includes all the materials, including thread and Daiichi hooks. 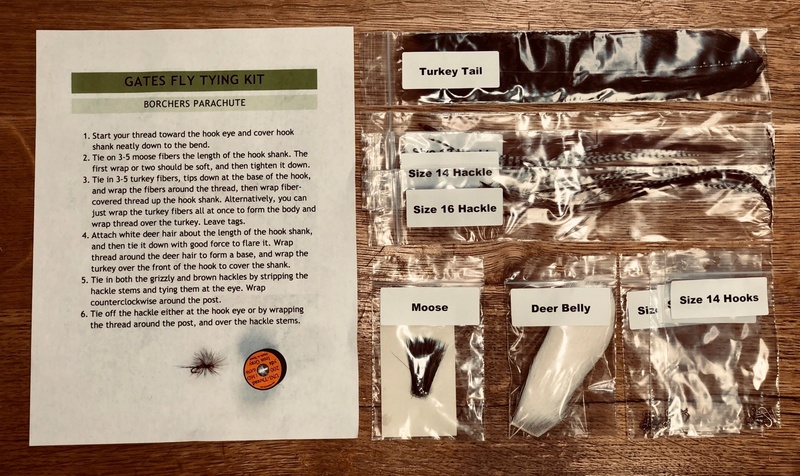 Whiting hackles, signature dubbing trapped right from the Au Sable and dyed onsite at Gates Lodge, a sample fly, and everything else you need to tie great flies, including a link to a video demonstrating the pattern. We'll have a bunch more patterns on the way. 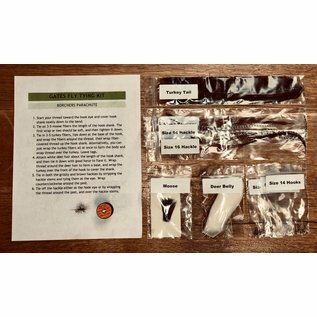 The most fun, cheapest, and best way to fill your boxes with American-made flies...hand tied, by you. Comes in two options: 18 flies or 36 flies.